This shirt is made of 100% Polyester. Machine washable. A great classically styled shirt with retro inspired white piping. 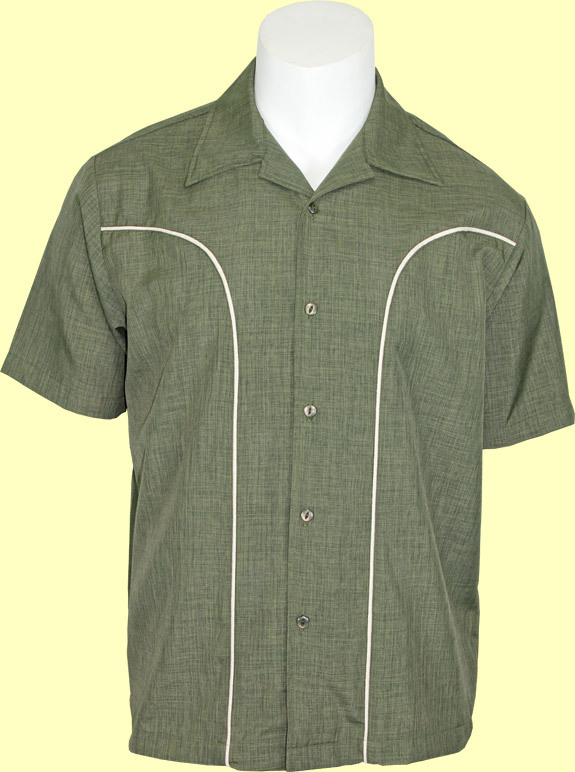 The body of the shirt is green and features white piping on the front. The fabric has a very cool and unique look.